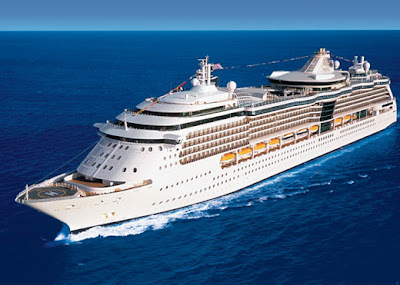 Regular basis cruise ships travel to Sri Lanka will be launched from Dubai starting from December 5th 2012. The project is implemented by Diethelm Travel Sri Lanka with partnership of FTI, one of the leading tour operators in Germany. The ships will operate between Colombo and Dubai with stops in Mumbai, Kochi, Goa and Muscat. Cruise ships will be mainly catering for holiday makers from Switzerland, Austria and Germany. It will be carrying 4000 up market clients from Europe in the first stage of the operation from December 2012 to March 2013. This will be the first ever cruise line, which will be operating to Colombo on regular basis. It will be scheduled to call at Colombo harbor for ten times from December 2012 to March 2013. The passengers will be able to choose Dubai or Colombo as their holiday destination. Travelers can extend their holiday in Sri Lanka to spend for Round tours or relax on the beaches in Sri Lanka. According to the experts from the tourism industry Sri Lanka this will be unique opportunity for the island to attract up market clientele. Sri Lanka beautiful island had been lack of tourists for 30 years during the devastating civil war. Official will be expecting record number of tourists in 2013. Cruise ship operator FTI will be expecting to berth the ship in Trincomalee and Hambantota harbors providing more opportunities for its customers. It was an amazing adventure, it was my dream to be in an American musical… I really hope you are going to love what you are going to see.